Uncovering prolific mold activity in your Sicklerville, NJ residential or commercial property can be rather unsettling for South Jersey property owners. Mold has a nasty reputation of causing a multitude of health problems and severely deteriorating property value. While mold can be a very threatening entity, do not run for the hills just yet. If you think you have discovered mold in your home or business, consider calling a professional mold removal company in New Jersey. A reputable expert will be equipped with the necessary skills and knowledge to properly address your mold concerns. Mold does not require much time to colonize a building and turn from a minor problem to a major problem. This is why mold should always be approached with a sense of urgency. The most effective first step to protecting your family and property from further damages and costlier repairs is to complete a professional Sicklerville, NJ mold inspection immediately. 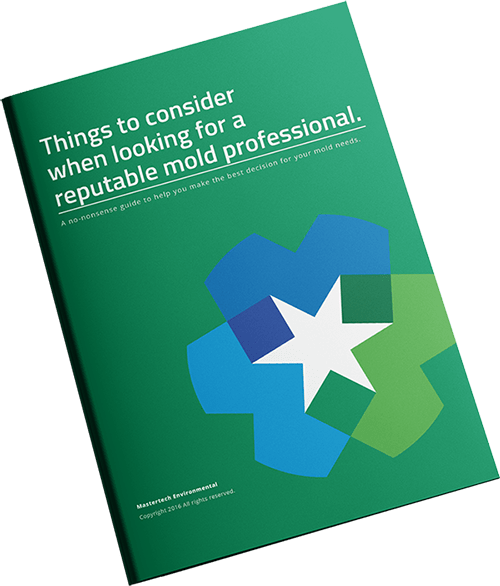 Even if you are unsure if it is, in fact, mold, a trustworthy mold professional will be able to help you make that differentiation and provide you with a peace of mind. When it comes to mold, MasterTech’s certified team understands and appreciates the risk that you and your family are up against. That is why we have made every effort to meticulously train each of our technicians to handle all cases swiftly and efficiently while remaining mindful of you and you family’s safety and best interest. At MasterTech we are committed to providing a quality and honest service with affordability in mind. At MasterTech we always have your safety and best interest in mind. That is why our certified technicians use to safest mold removal tools and techniques available today for each mold remediation in Sicklerville, NJ. Currently, oxidative technology is the safest approach to mold removal. This method has revolutionized the mold remediation industry. This process is environmentally safe and does not require the use of powerful pesticides or dangerous chemicals. We have taken every measure to ensure that you and your family will be returning to a SAFE and mold-free home. Each and every step of our mold removal Sicklerville NJ process is thoughtfully put into place to ensure the safest and most effect move remediation from start to finish– AND after. Containment: Barriers isolate areas of remediation to prevent cross-contamination to clean areas. Air Filtration: HEPA-filtered air filtration devices maintain your indoor air quality during our work. Mold Roots: A concentrated hydrogen peroxide agent will be used to remove mold roots. Mold-Proof Coating: Mold-resistant coating is applied to cleaned surfaces to prevent recurrence. EVERY Mastertech mold removal Sicklerville NJ is backed by a 5-year, mold remediation warranty. It is the Mastertech Environmental promise that we completed a successful cleanup and restored safe & livable conditions. You and your family can rest assured that the mold will not return in the future. For professional mold removal services in Camden County, NJ, call us today to speak with a member of our team! For mold removal and mold inspection Gibbsboro, NJ or mold removal and mold inspection Collingswood, NJ, call 1-800-310-3226.